I'm so happy Nicole offered to fill in for me today! As soon as I saw her blog, I knew I'd love her! Her bio pretty much sealed the deal! She has great tips for shopping on a budget, as evidenced below; you should check her out! OK, Nicole, ready, set, go! Hey there, Love and Loyally readers! I’m Nicole from A Dash of Gold and I’m so happy to fill in for a day while Jessica’s out on vacay! I love to write about affordable workwear, personal style, drug store dupes and life has a young professional living and working in Washington DC. As fall approaches, I’ve had to resist all the fantastic sales and tempting new trends. It’s still to warm for fall clothes here but I’ve had a lot of fun scoping out deals for office workwear. 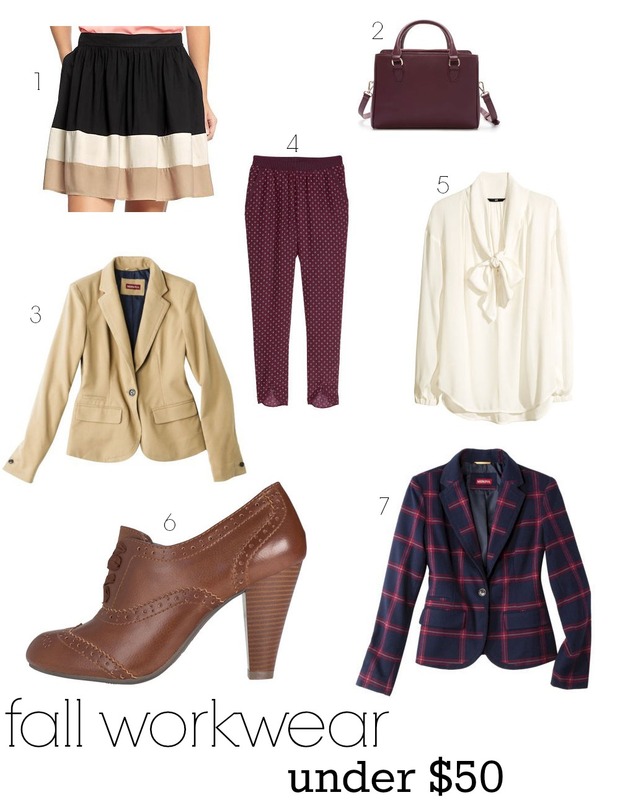 Cognac and oxford blood are my favorite colors for fall and it looks like this season will be full of them! Stop by A Dash of Gold sometime soon, I’d love to have you! Thanks for reading! Thanks, Lady :) Hope you're enjoying your vacay!! Oooh I love that plaid blazer!